The mhorrimarine is coming together nicely. 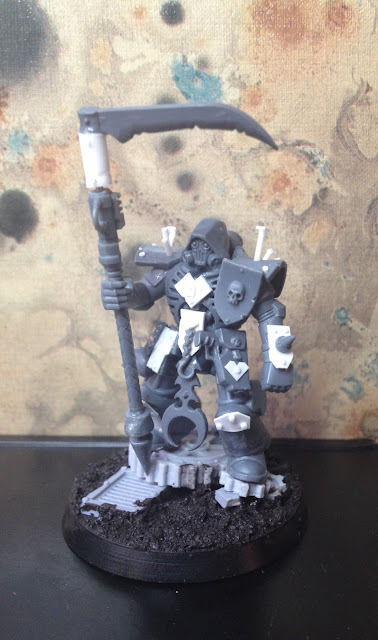 The only major thing left is how to position the scythes blade. Originally I posed it pointing forwards, Dave Taylor suggested it might look better pointing backwards. I can't decide so I pinned it to be easy to swing around and snapped a few shots of it pointing in every direction. What do you folks think? I like the outwards position, but if it was brought forward slightly, more at a diagonal. I'm leaning towards inwards. I think it frames the model nicely. Hmm Not sure if I prefer inwards or backwards. 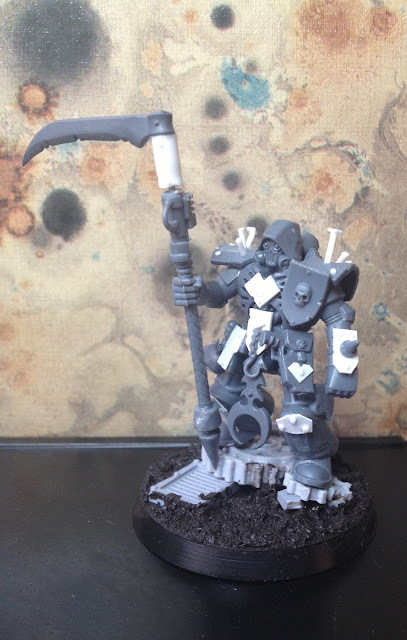 It think if the scythe was a bit less vertical and angled more towards the enemy it may help a bit with the pose. 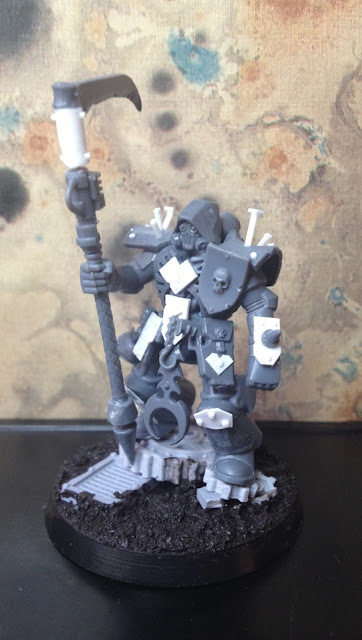 Those nails on the shoulders are really cool are you thinking of adding any to the hooded head? 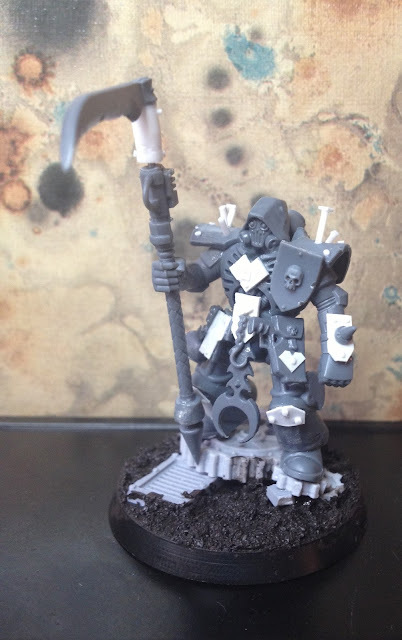 Also what are your plans for the back of the figure, I think a cool cloak like the CSM Terminator Lord would be cool. Keep up the excellent work! I think inwards is the best, although back looks good as well. Thanks for the input boys and girls! Right now it's leaning toward backwards - it feel a bit less like he's striking a pose and aligns with the power generator on the shaft. "One fist of iron, the other of steel"
Is it about the hedge? We need some guns. We need some big f----n' guns!